Earlier this year, it seemed that most people I was following on Instagram went to Japan or had friends who visited Japan. And each came back with a box (Or maybe, boxes.) of Tokyo Banana. I love my bananas (I have one every morning, since I was 14.) and banana products but I haven't got any plans to travel to the land of kawaii-ness (Yet.). So I was like ahhh well *shrugs*. What I don't know, I won't miss... Right?!? So can you imagine my delight when I spotted a cart selling this, right here in Singapore?!? Each box holds 8 of this sponge-y goodness! 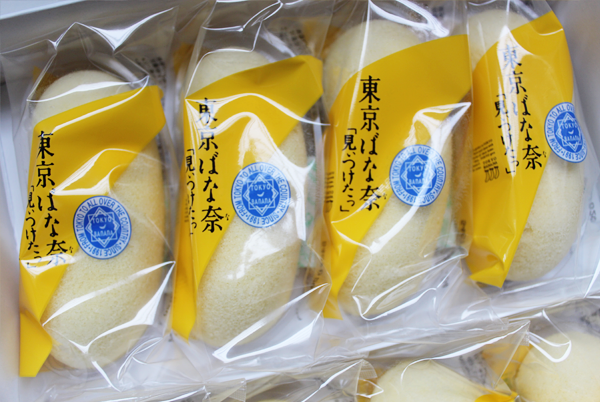 The expiry date is printed on the yellow wrapping, on the side. If I remembered it right, they can last for about 4 weeks... Though I doubt they will stick around for that long. I mean, mine was almost done within half a week (Saved one for M, who comes over only during the weekends! :D)! TADAHHH! 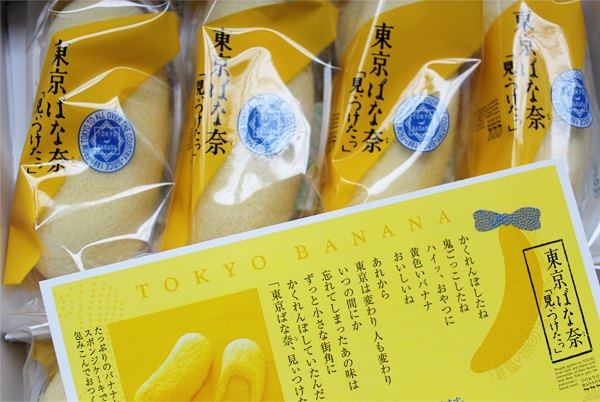 Tokyo Banana in all of its sponge-y glory! I wish I could show you the inside but umm... I don't eat prettily so... 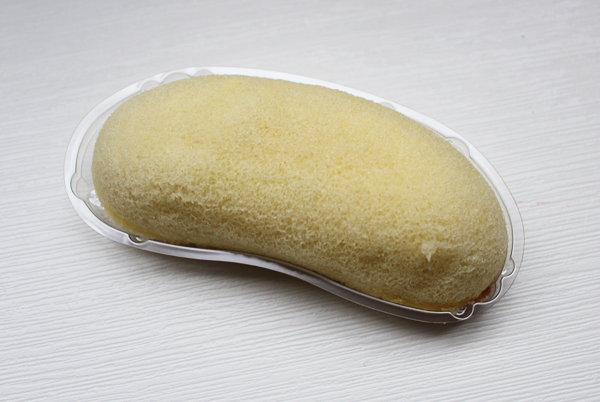 Anyway, the sponge cake that cocoons the banana goodness is probably the sponge-iest thing that I have ever eaten. It's like a cotton candy that has been infused with so much SK-II! As for the banana goodness... Oh gawd. It makes my mouth water just thinking about it! It's pureed banana, lovingly made by cupids *nods seriously*. I like them refrigerated but leaving them at room temperature is perfectly fine too. For those who are interested, the cart can be found at the basement of Raffles City. It is directly opposite Fruit Paradise. Each box costs $30 and the other flavours (Chocolate and chocolate caramel, I believe.) are available as well. :D Happy Tokyo Banana-ing! P.S. : They sell out pretty fast but I think the owner brings them in very frequently too. Just check with the people mending the cart! P.P.S. 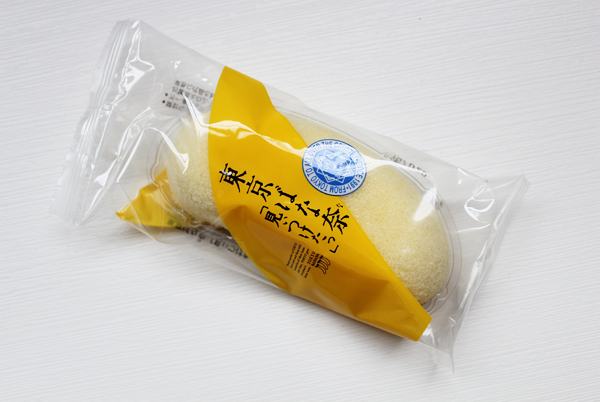 : Other Japanese goodies are available at the cart too! I spied some Japan-exclusive Rilakkuma items! Oooh, thanks for sharing! I've heard of a store in Raffles City that sells these, but didn't know where exactly they're located. A little of a rip-off though, since a box is only around $19 in Japan (and less now that the yen is so weak! ).